Your favorite local DC band, SHAED, comes to the Rock and Roll Hotel on July 12th! 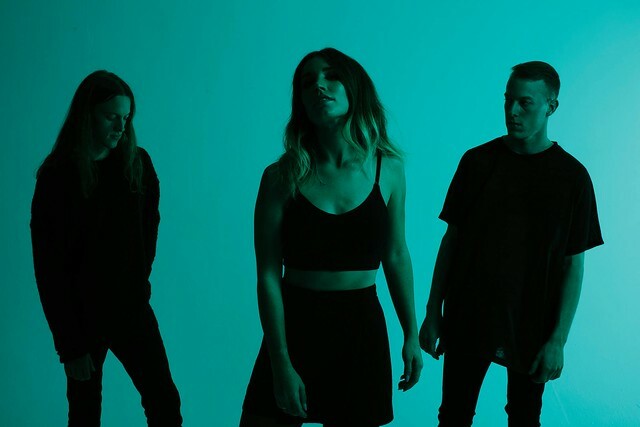 They have just started a new tour as the openers for Sir Sly, and you should be supporting them in their quest for music glory. SHAED is Chelsea Lee on vocals and Max and Spencer Ernst (twins) on all instruments. Their last EP, Just Wanna See, is a solid mix of electronic pop and groovy beats. My favorite from the six-song disc is “Running Through the Fields” and I can confirm they perform it live superbly. I last saw them play at the 9:30 Club on September 16, 2016. Another funky-cool song they perform well live is “Name On It”. They should still be touring with the songs from Just Wanna See. I’m not aware of any new songs, but hopefully they will surprise the crowd with one or two! Get your tickets for July 12th here. Tickets are $20. Doors open at the Rock and Roll Hotel at 7pm. Show at 8pm. SHAED opens for Sir Sly.